Piecing together evidence on the real life of Jesus, this work aims to take us on a journey that changes the story of Christianity as we know it. What emerges is Jesus as head of a persecuted royal dynasty in exile. Jesus was leader of a messianic movement - one far different to the revelations of his maverick follower Paul. If you thought Dan Brown's fiction was gripping, try the truth. This controversial book pieces together new evidence on the real life of Jesus. 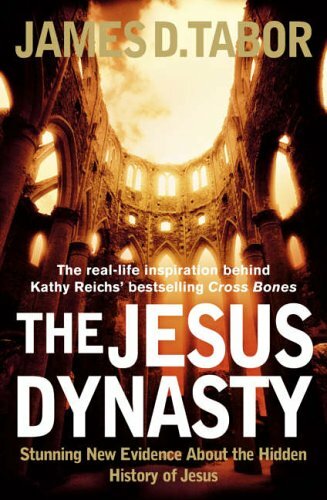 The true inspiration behind Kathy Reich's bestselling thriller, "Crossbones", archaeologist and scholar James Tabor takes us on a startling journey that changes the story of Christianity as we know it. Based on hand-on archaeological experience and ground-breaking academic research, real-life Indiana Jones, James Tabor, has produced a compelling and bold new interpretation of the life of Jesus and the origins of Christianity. So impressive is his work that Kathy Reichs, bestselling mystery writer of the "Tempe Brennan" series, was inspired by his findings to write her latest novel, "Cross Bones". The truth, however, is far more gripping than fiction - either hers or Dan Brown's. Tabor's revelations are startling and substantiated, beginning with his accidental discovery on a dig in Israel of what many now think was Jesus' family tomb. Piecing together new archaeological evidence, combined with the earliest surviving Christian documents, Tabor reconstructs Jesus' real family history. What emerges is Jesus as head of a persecuted royal dynasty in exile. Jesus was leader of a messianic movement - one far different to the revelations of his maverick follower Paul who was responsible for what we know as Christianity today. Was Jesus far more human than the Church has led us to believe? Did Jesus entrust his teachings to someone much closer to him? Was his royal bloodline meant to free mankind or just a chosen few? And why did dissident follower Paul have a more lasting effect on Christianity than Jesus himself?